Purchased 'Guide to Preserving'. Prompt service. Received within 48 hours. Great publication full of vast range of easy to follow recipes. It has everything you need to know about preserving. Known around the world as the food preserver's bible, the Ball Blue Book Guide to Preserving is the ultimate guide to fresh preserving. Each edition is filled with fresh solutions for today's busy lifestyles to help everyone enjoy good food at the peak of flavor. The Ball Blue Book Guide to Preserving is packed with over 500 tried-and-true recipes and guides you to the right tools and ingredients that make it easy to capture freshness. The Ball Blue Book is your complete guide to home canning and preserving. This book teaches you everything you need to know about Canning and Preserving, High-Acid Foods, Soft Spreads, Pickled Foods, Low-Acid Foods, Special Diet, Sweet & Savory Combinations, Freezing, Dehydrating and more. This soft back, full color, book takes you step-by-step through the essentials of canning while giving you the knowledge to ensure the quality of your preserved food. Includes altitude adjustments and pre-canning planning. Guides you through what canning items are and how to use them. The Ball Blue Book includes instructions on water bath canning, pressure canning, dehydration and re-hydration, vacuum packing, and freezing. It also covers high and low acidic foods, pickled foods, spreads, meats, fish, fruits, and vegetables. Shows step-by-step guides on canning tomatoes and green beans and more with photos to guide you through the whole process. 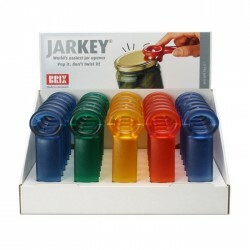 Includes special diets and problem solving, and solutions to the modern day busy lifestyle. Easy to follow recipes for the beginner and the expert alike. This is a must have for every preserving kitchen. The 37th edition is the latest edition for 2015 and has new and updated recipes with 200 pages to guide you as you learn about preserving. Includes brand new recipes for canning, pickling, dehydrating, and freezing food. It’s your must-have source for timesaving tricks and meal-prep tips. Inside, you’ll find information about equipment and step-by-step instructions for each preserving method, and much more! One of the most important tools for the preserver is a set of bottle tongs / jar lifters.These.. Known around the world as the food preserver's bible, the Ball Blue Book Guide to Preserving is the .. 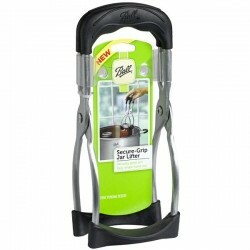 Feature: Constructed of heavy-duty stainless steel Hang it by its handle Use for transferring liq.. 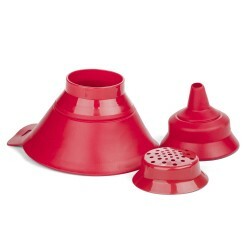 Features a wide mouth funnel, a narrow spout funnel and a strainer which sits inside the larger funn..